Haven't had enough of the Jedi and Sith? Star Wars fans and movie-goers alike will be thrilled to know George Lucas and his post-production power-house Industrial Light and Magic will be returning the entire Star Wars series to theaters, starting in 2012, in full 3-D. According to the The Hollywood Reporter, all six films in the sci-fi mega-selling series will be released in consecutive order, starting with Episode I: The Phantom Menace in 2012. Fans of the movies will recall this is the second time the three original movies will have been re-released, the first time being in 1997 when new CGI footage was added to the films to mark their 20th anniversary. Though originally skeptical of 3-D technology, George Lucas, the series creator and director, was won over to the technology by recent block-buster hits such as Avatar and Alice in Wonderland, according to the movie blog Hero Complex. Star Wars purists will be happy to know there are, according to an interview with Industrial Light and Magic special effects manager John Knoll in Variety, no current plans to add new footage to any of the films. Knoll assures that they will be exactly as first run, and that every pain will be taken to ensure the quality of the Star Wars 3-D transfer. There are somewhere between 2,000 and 2,500 3-D screens in the United States, as also reported in The Hollywood Reporter, though this number is growing by up to 500 screens a month. According to FOXNews, this, combined with the increasing prevalence of Sony 3D technology in the home, was a key factor in George Lucas' decision to port the Star Wars series to 3-D. 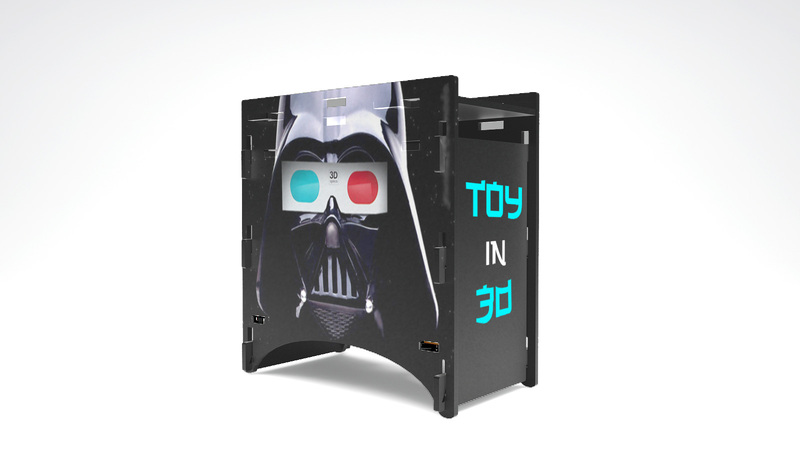 It's Lucas' hope that 3-D television will be common enough by the end of the Star Wars 3D theater run that a 3-D DVD format of the films will be financially viable and practical. He did not mention how many years it would take to complete the Star Wars 3D run, though the process of transferring studio film to 3-D is notoriously painstaking and could take several years to implement. Regardless, eager viewers can expect the first run of the Star Wars 3-D films in 2012. Looks like James Cameron's Titanicwill be heading to a 3D remake, too. Both titles will have to be converted from stereo shot format to 3D, and both are slated to appear in Spring of 2012.